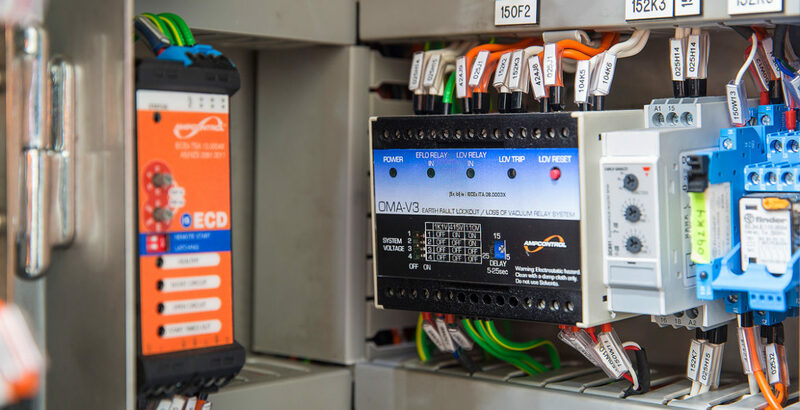 In industries where safety is paramount, Ampcontrol has a proven track record of delivering electrical protection relays that suit their unique system challenges and regulatory requirements. Ampcontrol’s range of relays includes electrical protection solutions for a range of applications through integrated and individual relay protection for earth leakage, earth continuity, earth fault lockout and frozen contactor. Ampcontrol’s multi-function relays provide multiple protection functions in a single unit. We introduced the first integrated protection relay into the underground mining market in the 1990’s and have continued to innovate and introduce new technology to this sector. Our latest offering, the PF1 relay performs two standard electrical protection functions; earth leakage and earth continuity as well as pump and fan protection. It has configurable parameters, event data logging and selectable start/stop functionality. The PF1 is compliant to AS/NZS2081:2011. Ampcontrol is the leading supplier of earth leakage relays for a range of mining, industrial and infrastructure applications. We are the leading experts on the management of VSD generated earth leakage current in fault limited systems and have developed a range of wide bandwidth earth leakage relays for this application. Ampcontrol remain at the top of the field for innovation in earth continuity protection relay design. We’ve took a fresh look at earth continuity, safety and AS/NZS2081 compliance to design a new method of earth continuity protection that utilises a ‘trip curve’ to discriminate between earth disconnection faults and incremental increases in the earth return impedance that occurs due to equipment degradation. Using this method it is possible to provide an instantaneous trip for energised uncoupling of cables and a time delay for gradual increases in the impedance of the earth return path to allow discrimination between noise induced onto the cables pilot earth loop and an actual increase in loop impedance. Embodied in Ampcontrol’s ECM3 this innovation is game changing. Ampcontrol has developed earth fault lockout relays for underground coal mining and hard rock mining applications. The EFL, Earth Fault Lockout Relay, provides two electrical protection functions and is compliant to AS/NZS2081:2011. The earth fault lockout relay will monitor the state of the outlets main contactor and compare it to the auxiliary. The EFL relay is also available in an Intrinsically Safe version for underground coal mining applications. A widely utilised approach to managing earth fault currents is the installation of neutral earthing resistors (NERs). NERs, sometimes called Neutral Grounding Resistors, are used in an AC distribution networks to limit transient over voltages that flow through the neutral point of a transformer or generator to a safe value during an earth fault event. Ampcontrol’s NERs are custom designed and manufactured. In undertaking an electrical protection system analysis our electrical engineers assess fault level calculation and accuracy of protection relay settings. We then provide expert electrical protection advice, problem investigation and engineering design consultancy to ensure you have a safe system that meets Australia standards. Earthing system testing ensures compliance with the original design criteria or against the relevant standards. Our engineers assess the installed and connected earth system to provide an accurate earth grid impedance measurement and to ensure customers meet touch and step potentials to safe levels. 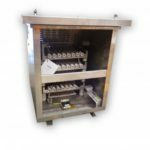 We support our own designed and manufactured electrical protection relays as well as third party manufactured electrical protection products with extensive workshop and onsite services. We can repair and test relays as required or as part of an asset management strategy. Smart Tools Software to support your PF1 Relay. View the supporting Information Guide to assist in installing the software.